Charities across the North West will benefit from Lancashire’s biggest music festival this summer. Lytham Festival is celebrating its 10th anniversary this year and up to 100,000 people are expected to visit the annual musical extravaganza from Wednesday 10th July to Sunday 14th July. And five charities from across the region will be represented at each of the festival’s headline concerts in the Main Proms Arena on Lytham Green when volunteers will be collecting donations. The chosen charities for a second-year running are North West Air Ambulance, Brian House Children’s Hospice, Fylde Coast Women’s Aid, Blackpool Carers and Blue Skies Hospitals fund. Lytham Festival director Peter Taylor said: “We are delighted to be welcoming these five charities back to Lytham Festival for our significant birthday celebrations. “The charities and their armies of volunteers did a sterling job last year and we look forward to their return. Previously we invited applications for charity partners each year, but we took the decision last year that our partners would be able to work with us for a two-year period before we opened applications again. Charity volunteers will be evident throughout the Main Proms Arena on Lytham Green for each headline event. Fylde Coast Women’s Aid will be the charity partner for The Human League on Wednesday July 10, Blue Skies for Stereophonics on Thursday 11, Blackpool Carers for Kylie Minogue on Friday 12, Brian House for Rod Stewart on Saturday 13 and North West Air Ambulance for Hollywood Proms with Michael Ball and Sheridan Smith on Sunday 14. Last year the charities raised £12,000 thanks to donations from festival-goers. 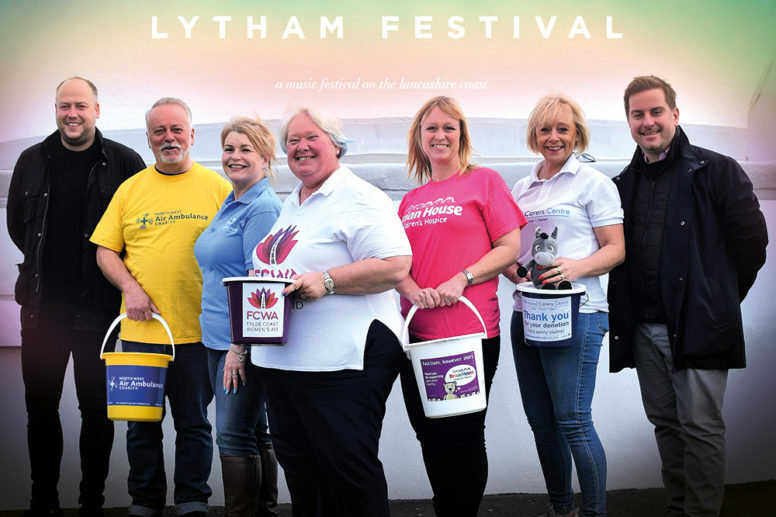 Kila Redfearn, Head of Fundraising for Blue Skies Hospitals fund, said: “We are delighted to have been chosen as one of the charity partners for Lytham Festival for the second year running. With the help of the customers at Lytham Festival, we can raise much needed funds, that will enhance patient care in hospitals in Blackpool, Fylde & Wyre. Michelle Lonican, Community and Corporate Team Leader for Brian House, said: “Once again Brian House is absolutely honoured to have been chosen as a charity partner for the ever-popular Lytham Festival. Details of how to apply to be a Lytham Festival charity partner for 2020 will be released after this year’s event.